AA and AAA batteries are probably the most commonly used batteries on a day-to-day basis. Everyday items from your TV remote to your EDC flashlight use either one of these items to make them work. They are easy to find and install. However, as devices become more sophisticated and compact in size, the types of batteries they use are changing. For example, the 18650 lithium-ion battery, it is rechargeable and offers plenty of power to operate a wide range of flashlights. Yes, it can get old having to run to the store to purchase new batteries for your handy light. It can also get expensive purchasing batteries, spending more than you initially wanted when you first bought the light. It is more convenient to have a battery that you can plug into the wall and let that baby recharge. With a rechargeable 18650 battery (or batteries) in your flashlight, you will do just that, “Set it, and forget it,” and your pocket light should be up and running in no time. After reviewing all the best 18650 flashlights available, we’ve selected our top 7 picks in the comparison table below. We’re confident you’ll find the perfect model for your needs. In most cases, a lithium-ion 18650 battery is going to provide more power to a flashlight than a disposable battery. As a result, you’ll get a stronger light output that often lasts longer, along with the convenience of being able to recharge it without having to purchase new batteries all the time. 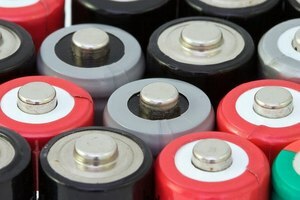 Initially, 18650 type batteries are going to be more expensive. But over time you will see the benefits as you’ll recoup that initial investment over time with every recharge. A quality 18650 flashlight with good batteries can easily last for years, as long as you are using and charging it correctly. 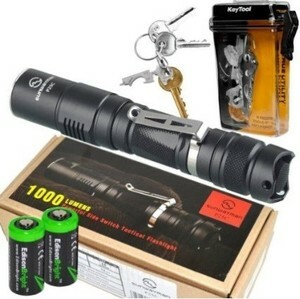 Many of the best flashlights on the market today use 18650 batteries, so you shouldn’t have any problems finding quality options that employ this type of battery. 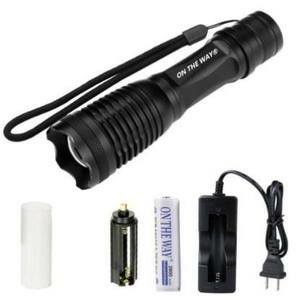 Whether you need a small flashlight for everyday use or a bigger one for special circumstances, there will likely be a 18650 model available that meets your requirements. We advise you not to buy the first or cheapest one you come across, but instead, take your time to evaluate all of the top options before pulling the trigger on a purchase. We have done much of the legwork for you, as the list below contains five quality products that are each well-respected on the market and all have garnered plenty of positive reviews. 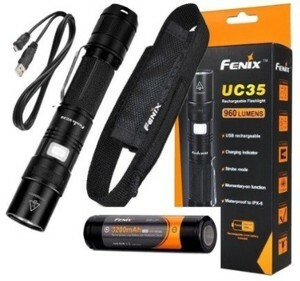 Fenix is a leading name in the industry, and they have certainly earned more than a few supporters with this rechargeable model. Incredibly, this item offers 960 lumens from its small design, and it runs on a single 18650 battery. Many 18650 powered models don’t provide the kind of power seen from this one, so most buyers will appreciate the light output this item creates when it is switched on. It comes with a USB charging cable for easy recharging of the battery, and it also comes with a backup battery so you can swap it out on the fly if you don’t have time for a recharge. While this product doesn’t have as many reviews just yet, like some of the other 18650 flashlights on our list. Users love the variable light output that it offers, claiming that it is suitable for everything from reading all the way up to looking across a long field at night – and everything in between. All in all, buyers say that this light lives up to the Fenix brand name, which is certainly a high compliment. This compact light is designed for you to carry it around comfortably, for long periods of time. This 18650 flashlight has everything you would expect to find in a quality product, including a waterproof design (up to two meters), durable construction, multiple brightness levels and plenty of power to light up the night. When turned to its highest setting, this compact light’s beam will surprise you, putting-out up to 930 lumens, which is more than what most people use on average. Customers love that it is only 4.7’’ long, and it weighs just 3.2 ounces, which means you should have no problem putting it in your pocket, pack, or if you’re just carrying it around. 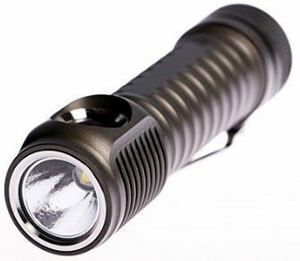 Zebralight, like Fenix, is a brand with a great reputation in the business, so you should expect nothing short of quality and performance if you decide to make this 18650 flashlight your next choice. CREE LEDs are some of the best and brightest pocket lights available today, so many purchasers of this product have been impressed with the light it creates, with its rechargeable 18650 battery. One of the first things that are mentioned by many owners of this product is the convenience of using the micro-USB port to charge this product. Most of us are accustomed to using USB technology to charge and connect devices, so adding this feature to a modern flashlight only makes sense. Are you looking for powerful light output from your next flashlight? That won’t be a problem at all when you choose the Nitecore. This product can put out up to 960 lumens, which is far beyond anything you would get from a ‘standard’ light that you pick up at your local hardware store. This model represents excellent value when compared to some of the other, more expensive 18650 battery-powered products on the market. 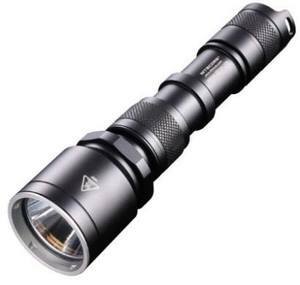 You don’t have to review this tactical product (see more options) very long to see that it offers about everything you could possibly want in an 18650 flashlight. It has an incredible max light output of 1,000 lumens, meaning you should be able to light up anything or anywhere in the dark – both near and far. It is rated for a lifetime of up to 50,000 hours, so don’t plan on having to buy a replacement anytime soon. Speaking of not having to buy replacements, that goes for the batteries as well, as you can recharge your 18650 battery over and over again to power this light. What is impressive about this Sunwayman light is that you get a plethora of features at a low cost. This product is made from aluminum alloy and has tremendous power. Some customers would expect to spend a lot for this type of quality from a well-respected brand. This 18650 flashlight from On The Way advertises 2,000 lumens of light! While the actual performance of this product may fall somewhat short of that measure (at least, in the opinion of some users), it is still incredibly bright. Most 18650 powered products in this category are sold at well beyond this price point, so this model deserves consideration on value alone. Beyond being a great value, this item gives users five modes, a water-resistant design, adjustable focus, and more. As is the case with nearly all LED lights, you shouldn’t have to worry about replacing the bulb in this light for the life of the product – it is rated to record up to 100,000 hours of use. It takes about 6-7 hours to fully recharge the battery, and you should be able to recharge the battery around 500 times. This 18650 battery offers many of the same features as others on our list, and at such a great price, it is worth a second look. 18650 flashlights seem to be on the rise, and it shouldn’t come as a surprise to find more and more of them on the market in years to come. With the ability to put out a surprisingly powerful light from such a small product, and the convenience of a quick recharge over and over again, there is plenty to like about the use of 18650 powered flashlights. Take a quick look at all five options above, and you should be able to find one that you will love to add to your collection.